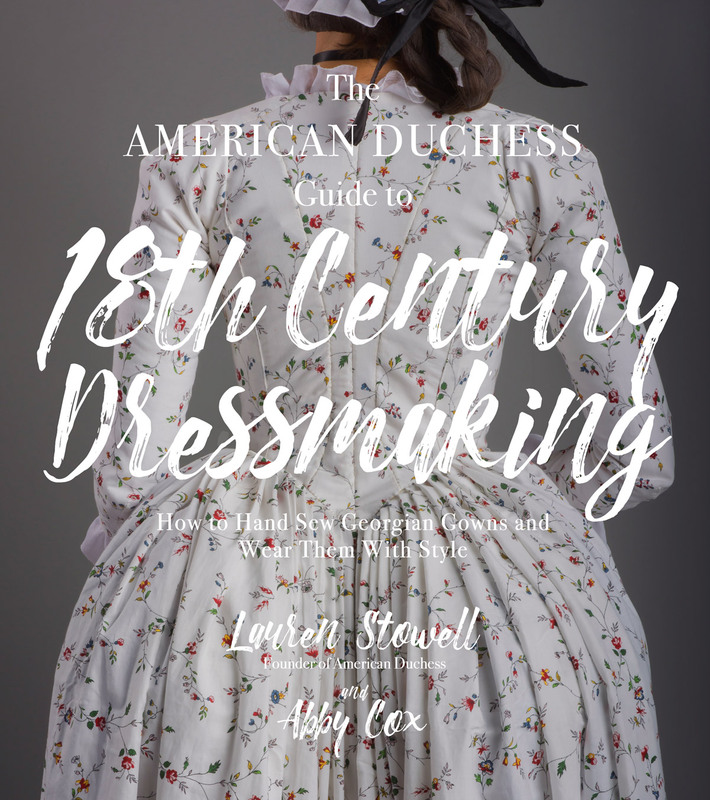 It's that exciting time of year when we here at American Duchess present all the new Spring/Summer shoe styles for 2018. 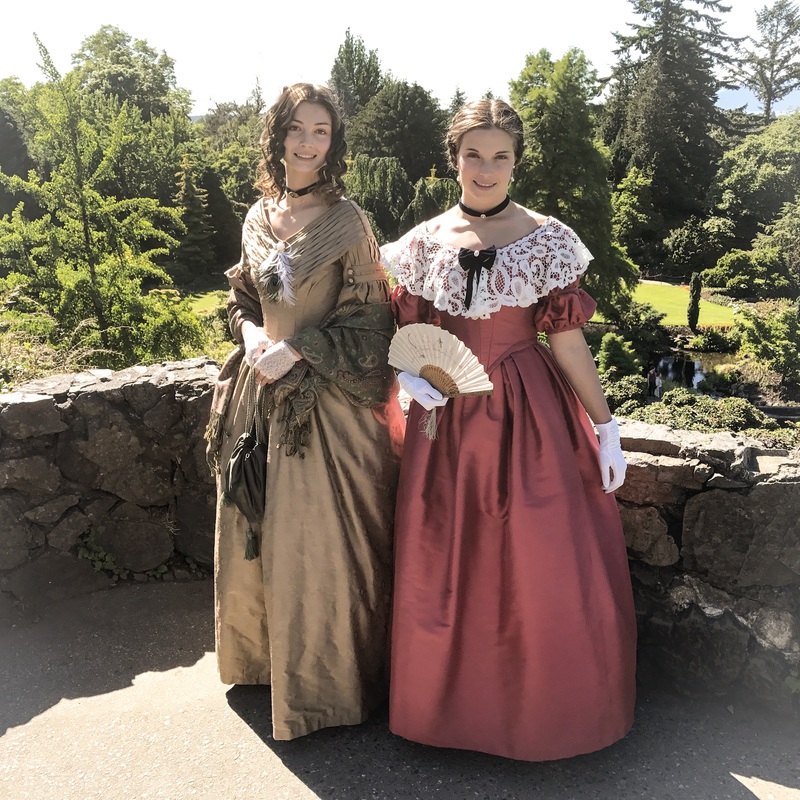 This year we have quite a few newbies, all of them gorgeous, fun, and filling a need in the historical costumer's footwear closet. We've decided to do a quick series of "A little history of..." posts to give some background on where our new designs came from. 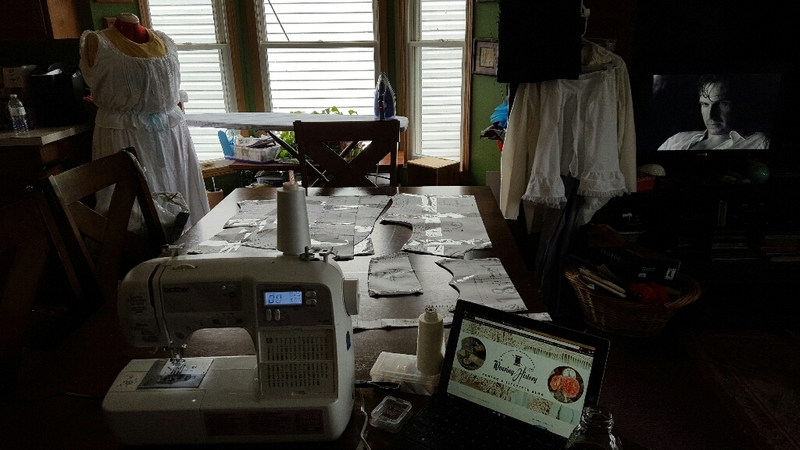 These will have inspiration photos, reference and notes about the decisions we made. First up? 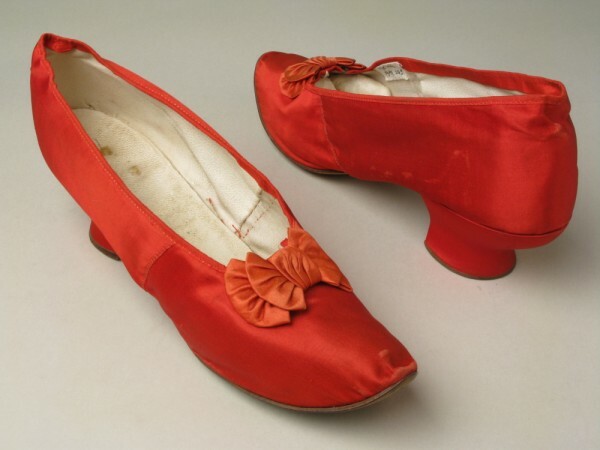 Here's a little history of...."Amelie" Satin Pumps. 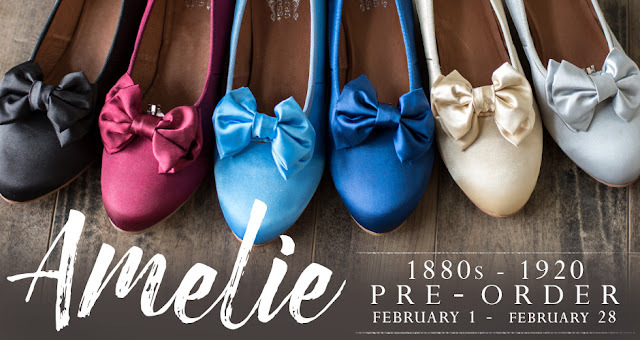 The idea for "Amelie" came from you guys asking us for low-heeled slip on shoes that could be worn with a variety of outfits from late bustle gowns through to 19teens era attire. Additionally, we've had requests for years for a broader range of colors. 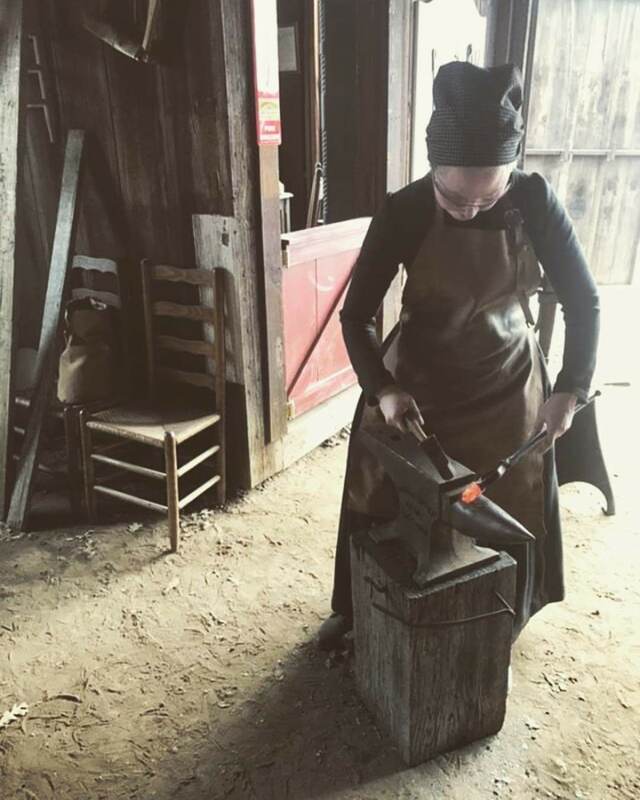 In developing "Amelie" we looked at many surviving examples of late-19th century pumps. Luckily there are loads in museums and collections, including our own. 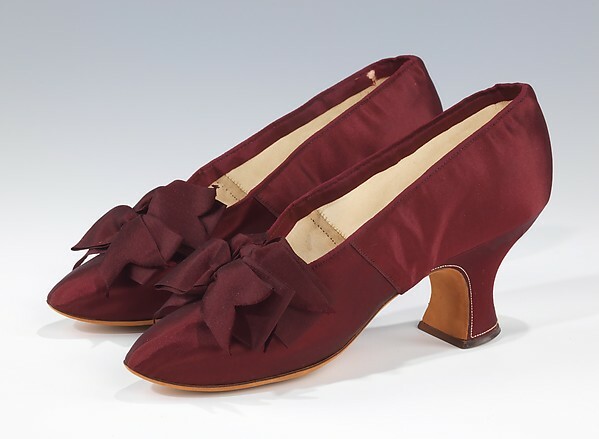 We made note of the hallmarks: softly rounded or slightly square toe, a bow or rosette on the vamp, fairly low French or opera heels, fun colors in satin, grosgrain, and sometimes leather. Our version is made of satin, lined in leather, and bound in matching grosgrain. We used the 1.75" French heel and softly rounded toe of Astoria, and have included clip-on bows in matching satin with each pair. There were very small changes across our target time period. The earlier version, 1870s-1880s, has a more squarish toe without a toe box, but by the late 1880s the more almond-shape with a structured toe appears. 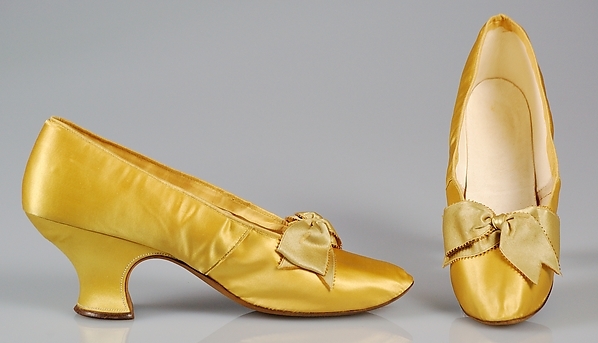 Going through the 1890s and 1900s, the structured rounded toe is seen, contemporary with very sharply pointed toes. Listening again to our fans and followers, we opted for the rounder, shorter shape in the name of comfort and modern expectation of attractive silhouette while still maintaining a historically accurate profile. 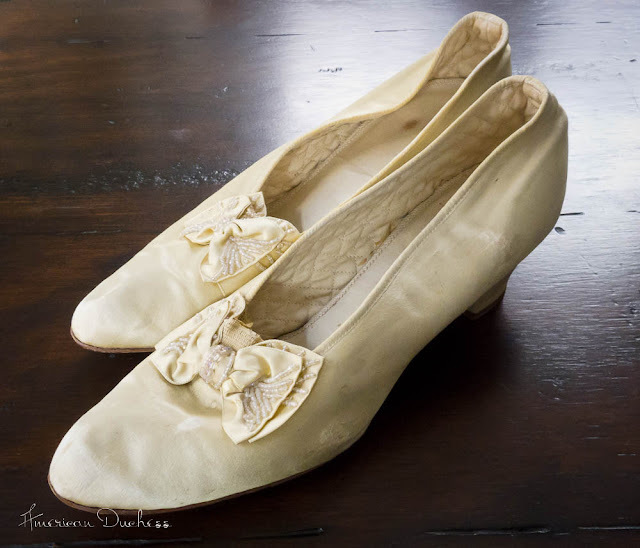 American Duchess "Amelie" Satin Pumps (1880s-1920s) - beautiful, elegant little shoes with clip-on bows. 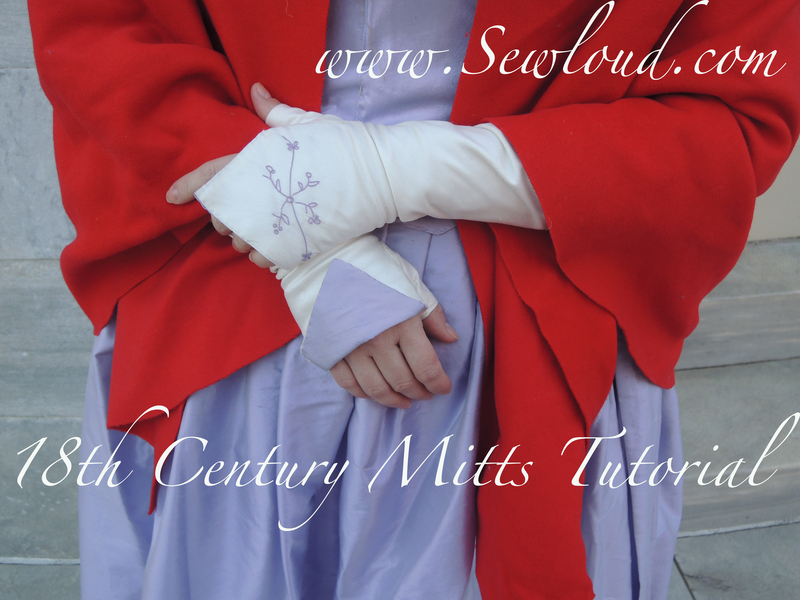 Another choice made was to use clip-on bows rather than sewn-on. Versatility is everything in today's world! 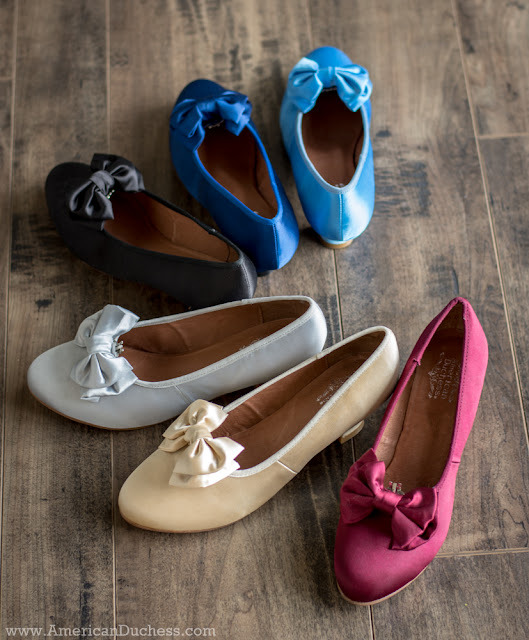 The bows can be worn, not worn, or replaced with other colors or styles as you like, plus extra bow clips in all six colors are available in our Accessories section too. 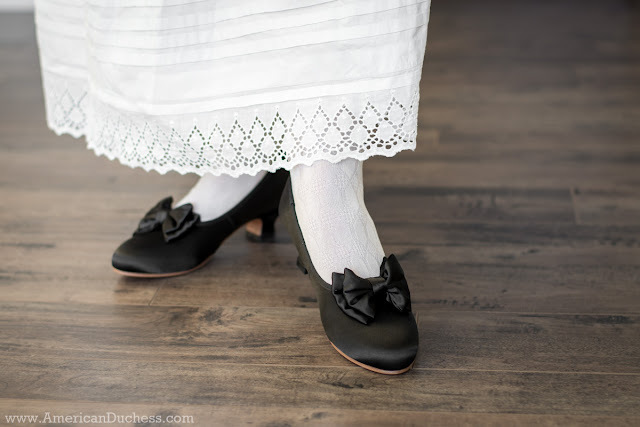 Pretty "Amelie" Victorian / Edwardian pumps with 1.75" French heels and leather soles. Lastly, let's talk about the colors. For the first time we were able to negotiate a split quantity with the colorways...but which colors to choose? We held a vote for a broad selection of satin colors and thanks to you ladies we knew what was beloved: Berry, Sky Blue, Royal Blue, Candlelight Gold, and Soft Silver, in addition to classic Black. **We only have 80 pairs available for the colors, 200 in black. If you like the colors, don't wait to order, as we're running out quite quickly. 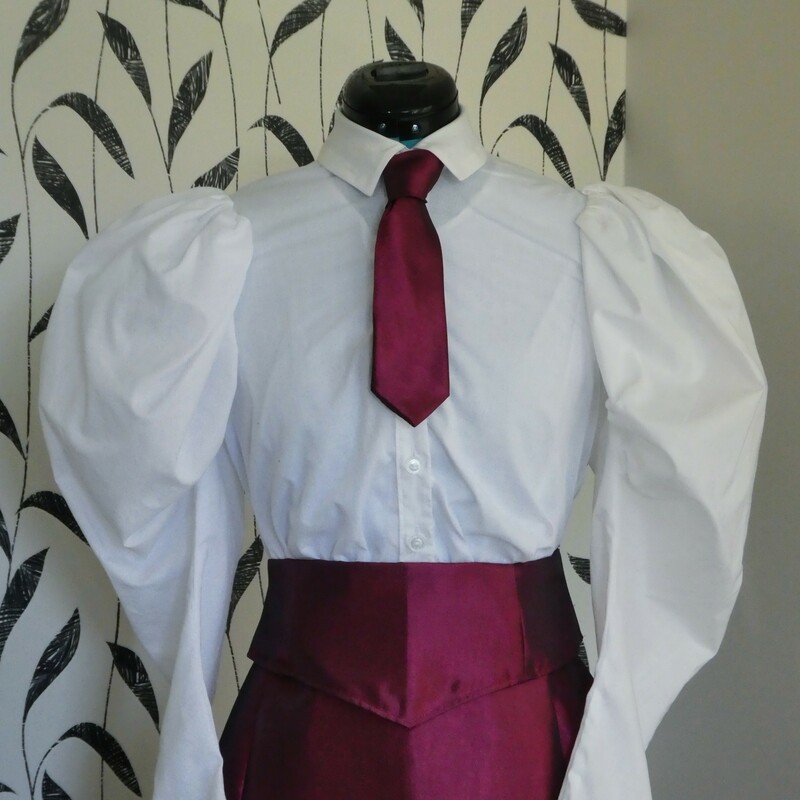 "Amelie" Victorian / Edwardian pumpsin black satin. 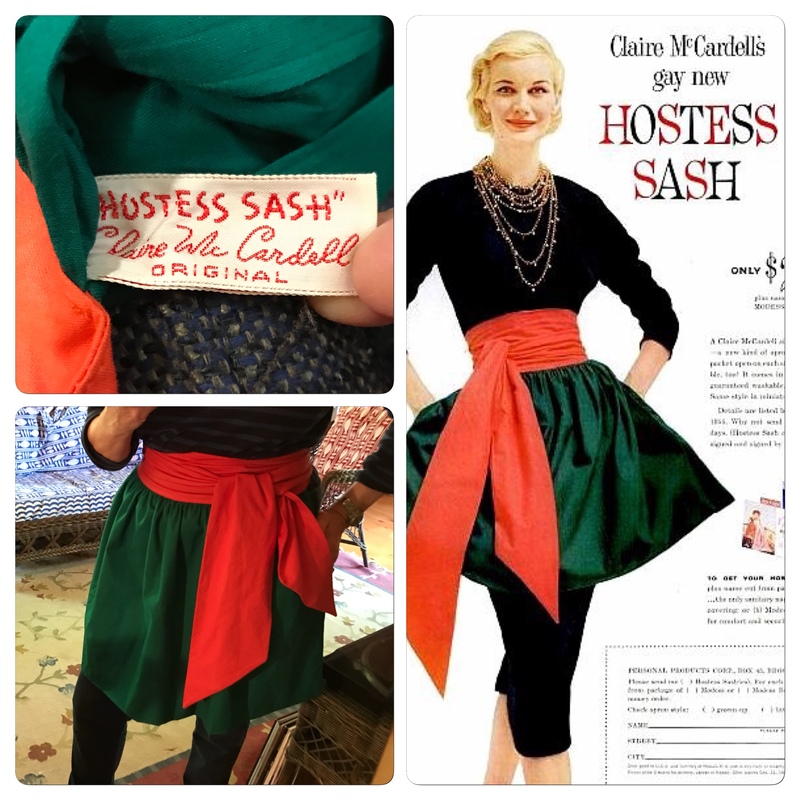 These look amazing under your late 1880s - 1920s skirts. 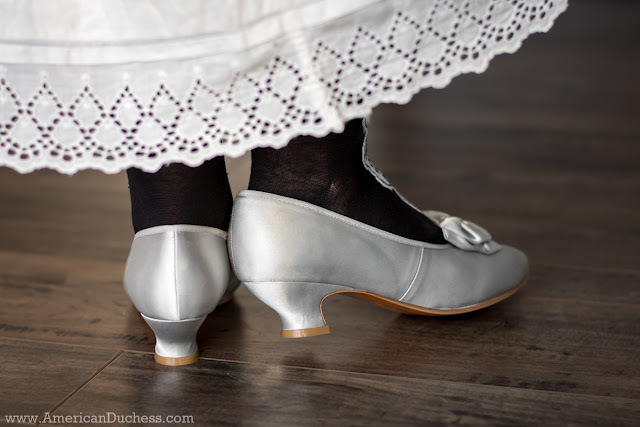 "Amelie" Satin Pumps are a wonderful shoe that offers historical accuracy, beauty, and comfort across several time periods - late 1880s all the way to the 1920s. 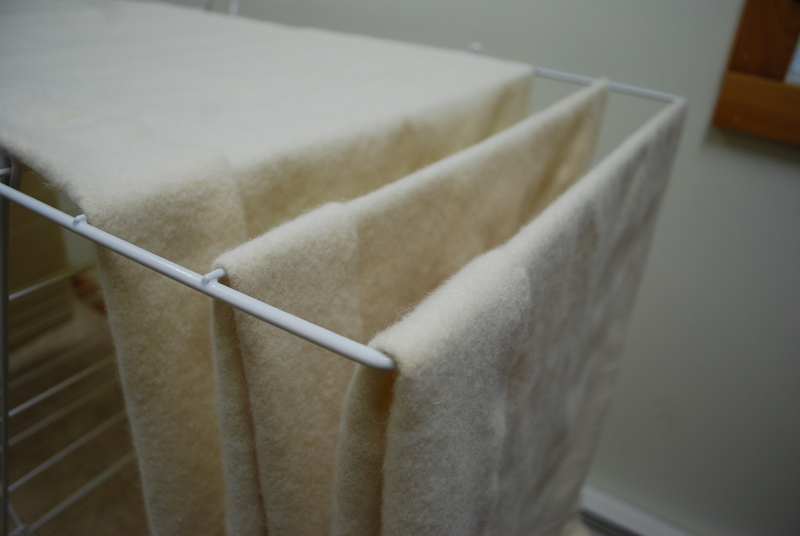 We're thrilled to offer them in six colors of gorgeous, luminous satin. Pre-order is open until February 28th at www.AmericanDuchess.com. 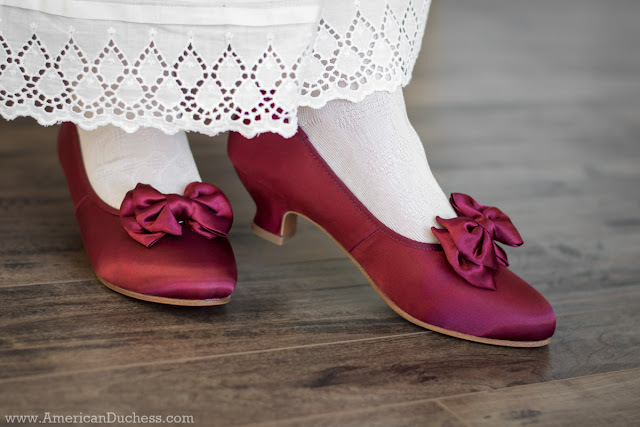 American Duchess "Amelie" Victorian / Edwardian satin pumps in six glorious colors. I love this! 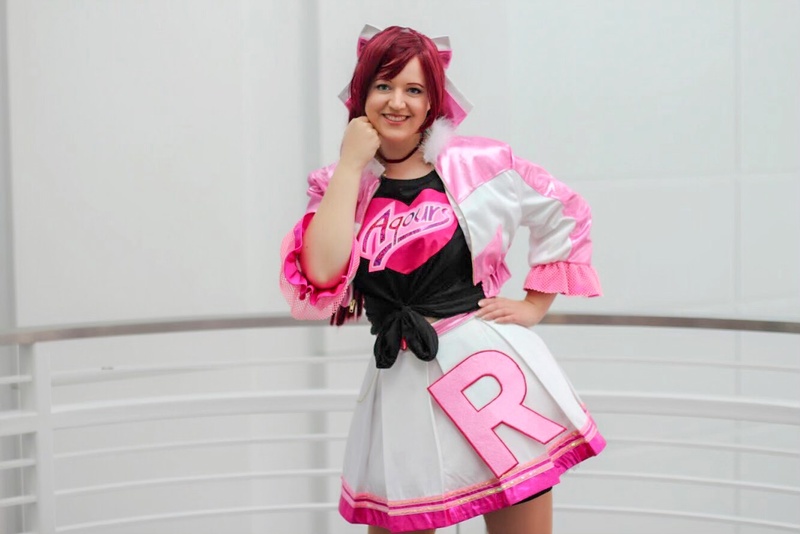 Are you going to do a post on your other new styles as well? I have to agree these are lovely shoes \ pumps and a post on other new styles would be a great follow up.